We rolled back the clocks and days are longer, but where is the warm weather we’ve been anticipating for months? It seems the snowy winter is very slowly giving way to a rainy spring, leaving outdoor junkies disappointed and dying to get outside. 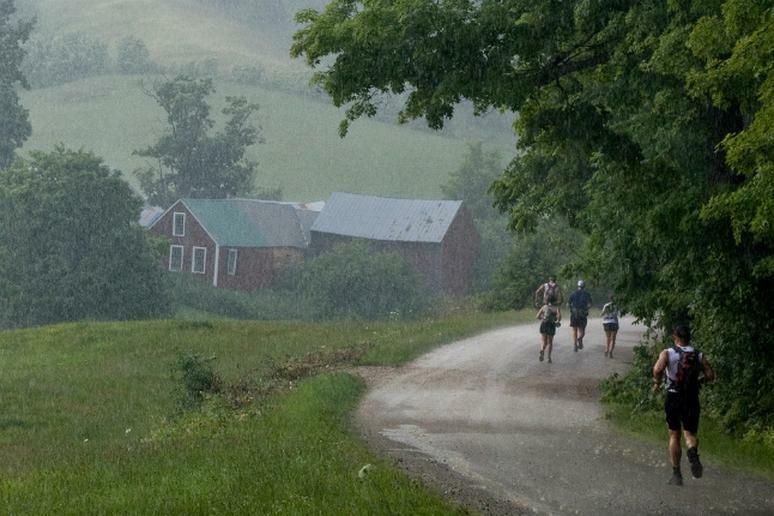 While some may see the wet weather as a damper on their fitness plans, others see it as a blessing. However you choose to look at it, here are a few ways to work around the weather and stay on track with your goals. 7. Make a summer playlist. Nothing can improve the mood of a workout like music selection; pick a few of your favorite summer beats to get your mind off the cloudy weather. OAR, Shwayze and Jimmy Buffet are a few of our unconventional favorites. What are some of yours?